Blotter Moore & Giles Domaine: bronze with black English bridle leather used for the blotter belts and trestle straps. 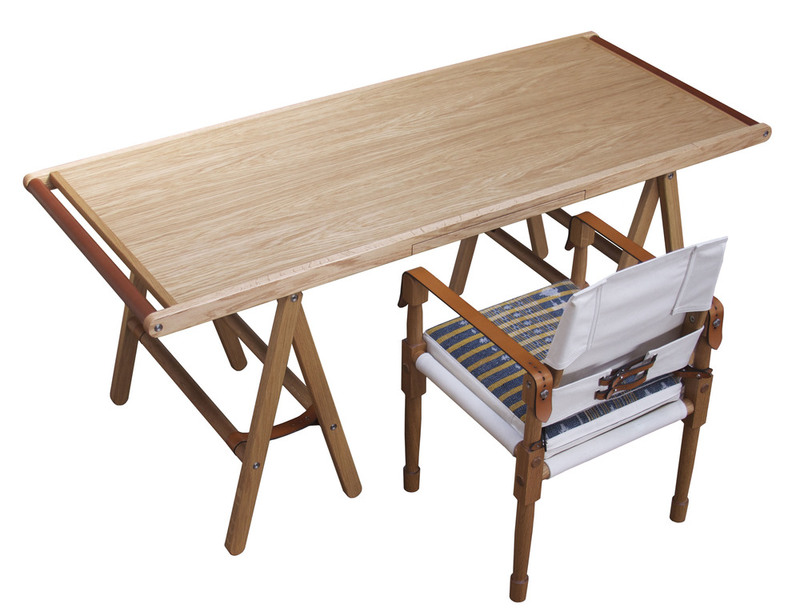 The Danziger table top attaches securely to the trestles via leather strapping. The Danziger can be made to custom dimensions.